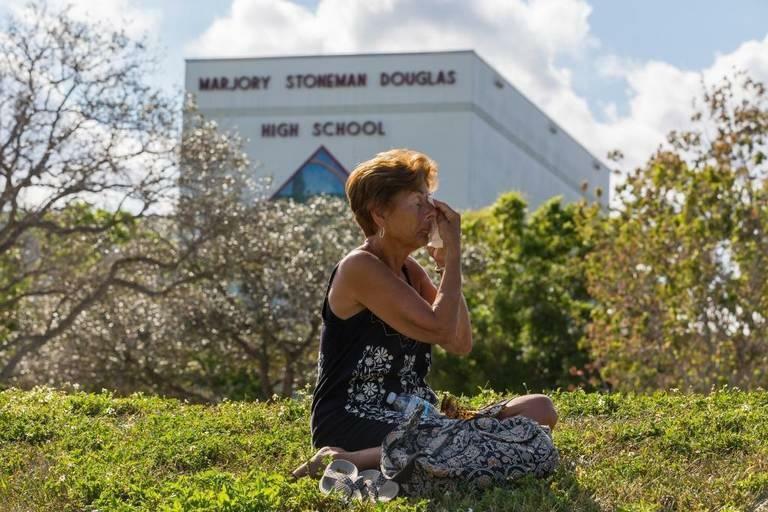 A woman wipes her face as she mourns in front of Marjory Stoneman Douglas High School in Parkland. The school will begin a phased reopening today. Teachers and other employees can come back to school on Friday, if they want. There will be a voluntary orientation for students and their families on Sunday afternoon. And then staff will be expected to start work again on Monday, planning for two days before the students start classes Wednesday morning. There’ll be a few short school days before regular schedules resume the following week. Mental health services will be available throughout the phased reopening. There will also be enhanced security — including police with long guns posted on campus. The school has a long recovery ahead after alleged shooter Nikolas Cruz murdered 14 students and three staff members and injured more than a dozen others. 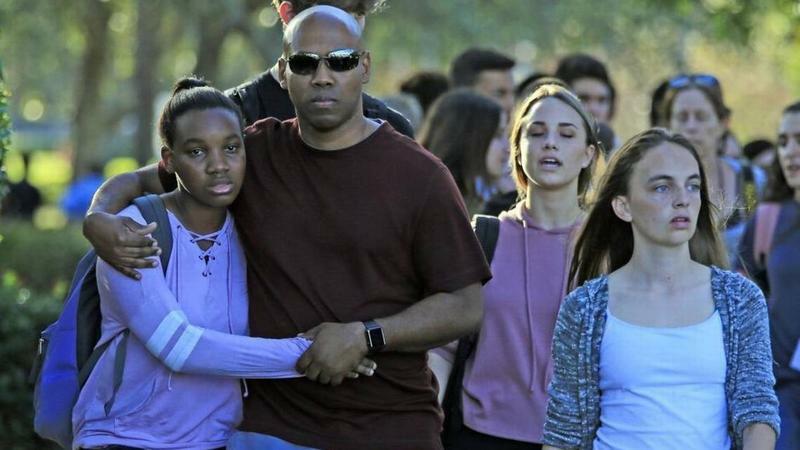 Thousands of people gathered for a vigil honoring the 17 victims in Parkland's Pine Trails Park on the day after the shooting. There are those who feel defiant in the face of the tragedy, determined not to let the horrific acts further derail their educational community and desperate to regain some kind of routine. Others are scared. “Everything is going to be different. 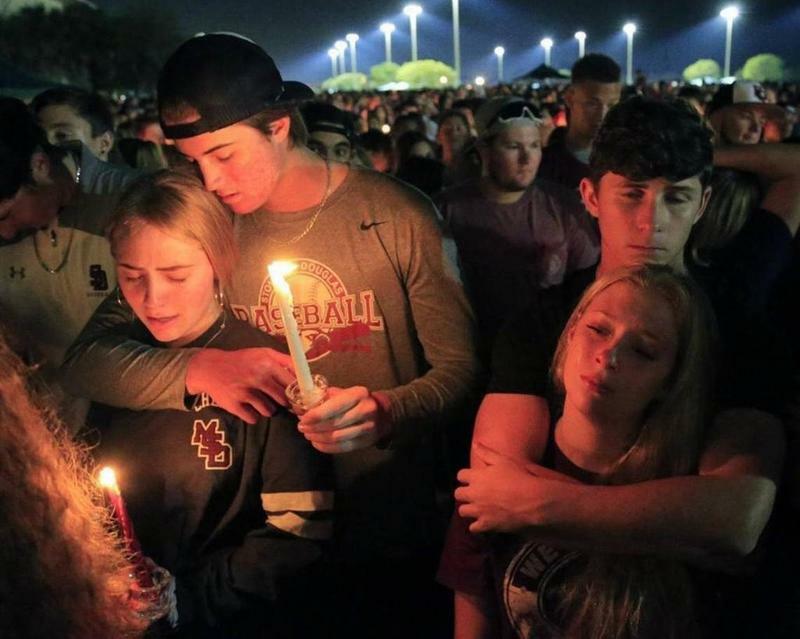 It can’t go back to the way it used to be,” Melanie Lee, a Stoneman Douglas freshman, said the day after the shooting, during a vigil that drew thousands to Pine Trails Park in Parkland. Her mom, Heather Lee, didn't know what she would do when school eventually reopened. The mother was considering homeschooling Melanie. 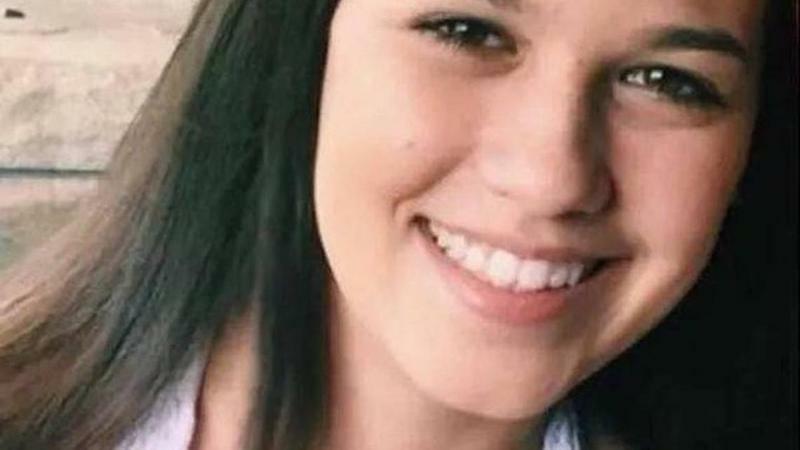 “Three of her classmates died, and she — by the grace of God, she had angels around her that day. Because she was sitting right next to two of them, and somehow the bullets missed her,” Heather said. Melanie was hiding under a desk holding her teacher’s hand when she saw one of her classmates die. More than a week later, Heather said she would let Melanie decide what's next. The teen wants to try school again. She plans to go to the orientation and see how she feels. If she decides she doesn’t want to go back, her mom says homeschool is still an option. Melanie was in Building 12, the so-called “freshman building,” where most of the horror took place during the February 14 shooting. Students won’t have to set foot back there. The whole schedule has been reworked to fit all the students and teachers in other buildings on campus, and there are plans in the works to eventually demolish that one and erect a memorial at the site. 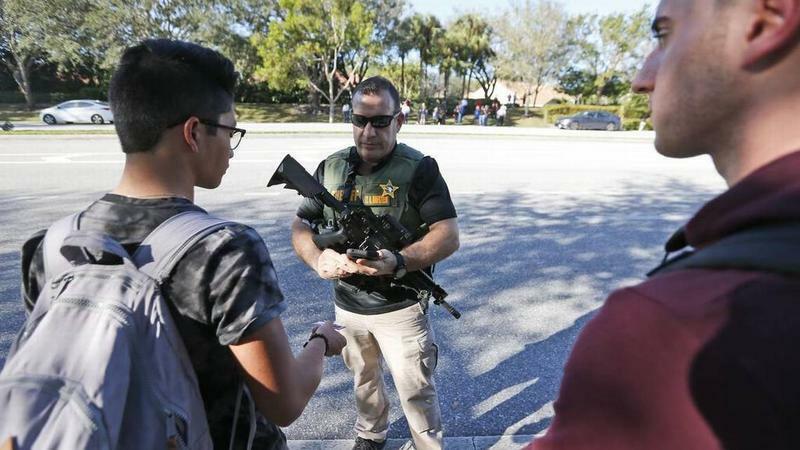 “It's going to be tight, but they've come out with some creative ways to keep all of these students together and all of the faculty together, which was the goal and desire that they wanted,” Runcie said. But the whole campus is full of traumatic memories for people who lived through the shooting. 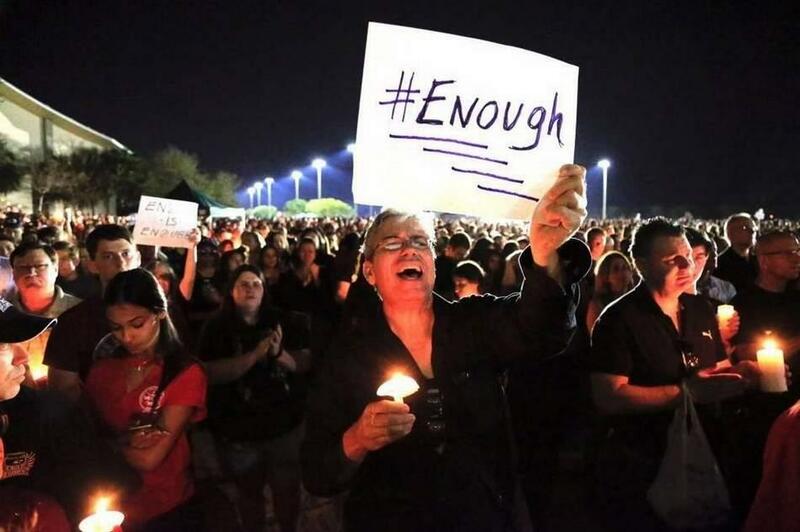 “I have students who don’t want to go back in the classroom where they were held, don’t want to go back in the closet where they were hiding, don’t want to be in the auditorium, because they were hiding in there,” said Sarah Lerner, who teaches English and journalism and is the yearbook advisor at Stoneman Douglas. One of the victims, Jaime Guttenberg, was in her introductory journalism class this year, and she had taught another, Meadow Pollack, in freshman English. Lerner said she’s been trying to take care of herself — talking to a counselor, drinking water, taking naps — so she can be healthy enough to help her students and her own family. She has a husband and two kids, and her oldest goes to the middle school next door to Stoneman Douglas. Lerner said she has been getting text messages, calls and emails from her students, sometimes in the middle of the night. “I had joked that I was going to ruin their Valentine’s Day” with the quiz, Lerner said. “And as they were taking their quiz, I was putting little Hershey's kisses on their desks — you know, here’s a kiss while you take your quiz,” she said. Then the fire alarm went off. She and her students started to leave, then turned back when they realized it was a “code red.” Lerner locked herself and 15 students in her classroom so they could hide. She has mixed feelings about being called back to work. It’s hard to imagine anything like “normal” now. Some of the kids who survived the shooting quickly became national celebrities, prominent voices for gun control. In the week and a half since the shooting, they’ve delivered speeches at rallies, lobbies lawmakers in Tallahassee, met with President Donald Trump in Washington and interviewed U.S. Senators Marco Rubio and Bill Nelson on live national television during the CNN town hall. They’re planning what’s likely to be an enormous protest in Washington on March 24 called “A March For Our Lives,” an event akin to the Women’s Marches that drew millions worldwide. And they’ve got millions of dollars to do it with: George and Amal Clooney, Oprah Winfrey and Steven Spielberg are among the celebrities who have pledged big donations to support the effort. 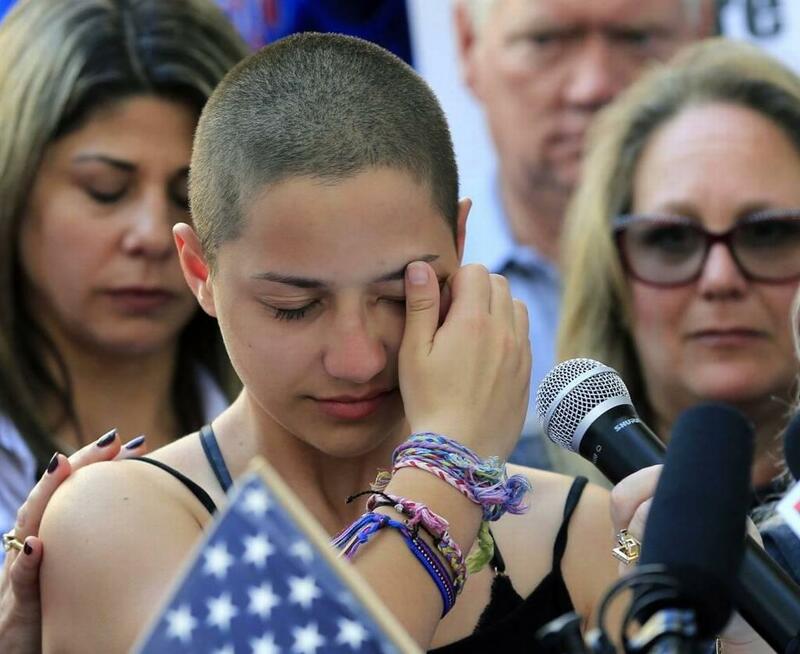 Emma Gonzalez is one of the Marjory Stoneman Douglas students who has become a national celebrity since the shooting. Some of these students have said into the TV cameras that they won’t go back to school until there’s change. They want an assault weapons ban, age restrictions and stricter background checks on gun purchases and better security and mental health services in schools to prevent future shootings. But privately, they worry about falling behind. One said he’s got five AP classes this year and is supposed to take the SAT next month. Another has the lead role in a musical. Senior David Hogg is one of the most visible student activists. He’s been targeted by far-right conspiracy theorists accusing him of being a so-called “crisis actor.” He and his peers have taken the negative attention in stride, the digital natives mocking trolls on their savvy social media feeds. Diego and Isabella Pfeiffer, a senior and junior, respectively, and their mom, Yvonne, protest at a rally in Fort Lauderdale last weekend. At the same rally, a brother-sister pair who go to Stoneman Douglas also felt determined to return — senior Diego Pfeiffer perhaps a bit more than Isabella, a junior. Diego said he was in a closet with more than 60 people when the shooting took place, and there was a girl next to him who was crying. She said she didn’t ever want to go back to school. “What I told her in the closet was, ‘You’ve lived 17, 18 years already. You can’t let two hours take away all the great memories that we had at our school,’” he said. His sister said she’s terrified to start school again. But she feels like her classmates and teachers there are the only ones in the world who can understand what she’s going through. “It’s like a home — but that’s kind of been torn down, if that makes any sense at all,” Isabella said, trailing off. Her brother nodded and tried to reassure her. “It’s still our home," he said.